- 100% Poly board short has two (side & back) pockets. 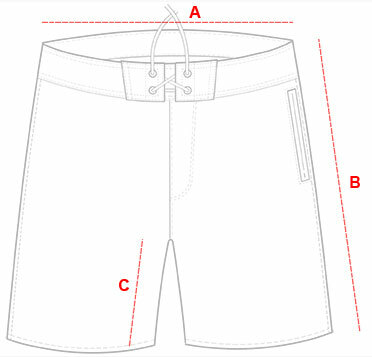 - 4 way stretch board short has a single (back) pocket. Our internal elastic wing system is superior to more traditional velcro/snaps & gives you ultimate comfort & self-assured modesty. Our internal elastic wign system is superior to more traditional velcro/snaps & gives you ultimate comfort & self-assured modesty. Smooth low profile clean interior seams provide for rash free performance and exterior double needle for heavy duty strength. Exterior zipper - interior hanging pocket(s) solid front / mesh back (drainage) Poly garage for zipper head. Secured keyring loop. 7 hole (4 grommet) tied closure system provides stability to keep your boardshort securely fitting & adjustability for variable conditions. A strong and tasteful bright blue that will look as good next summer as it does this summer. Triple needle stitching on the outside and cover stitching on the inside for the same "best quality", as all our other boardshorts. 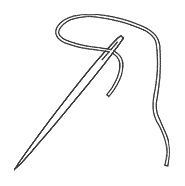 A drawstring closure system with Lycra interior gusset wing provides modesty and eliminates the need for uncomfortable buttons or velcro in the fly area. A stunning vibrant blue dyed poly twill weave material that is strong and flexible enough for any ocean activities, but dries quickly and is stylish enough for after the beach. For further detail on this textile click here.